Healing Herbs Bunches, Bottle Of Oil Or Tincture, Hessian Bags.. Stock Photo, Picture And Royalty Free Image. Image 42135500. 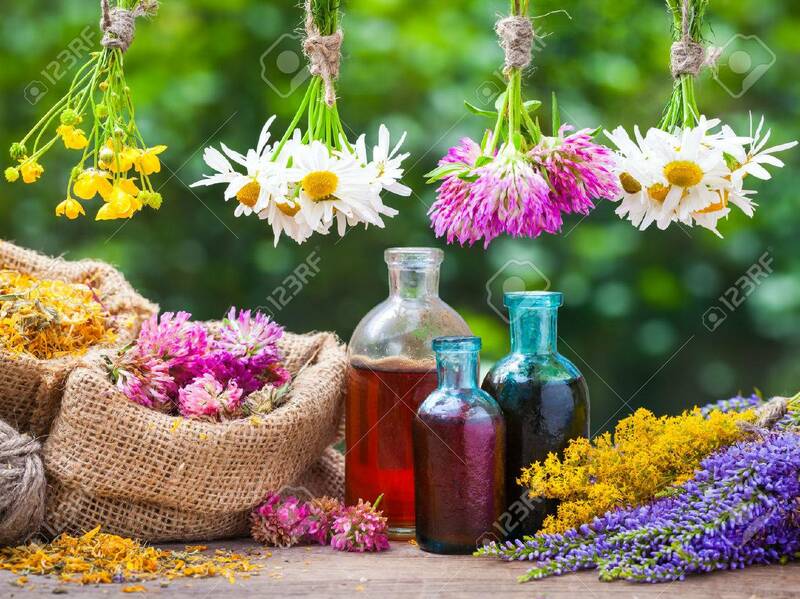 Stock Photo - Healing herbs bunches, bottle of oil or tincture, hessian bags with dried marigold and clover. Herbal medicine. Healing herbs bunches, bottle of oil or tincture, hessian bags with dried marigold and clover. Herbal medicine.